JUST LISTED: 2002 Fountaine Pajot Maryland 37 "Vicki Lea". Exceptionally equipped, impeccably clean, and ready to cruise! 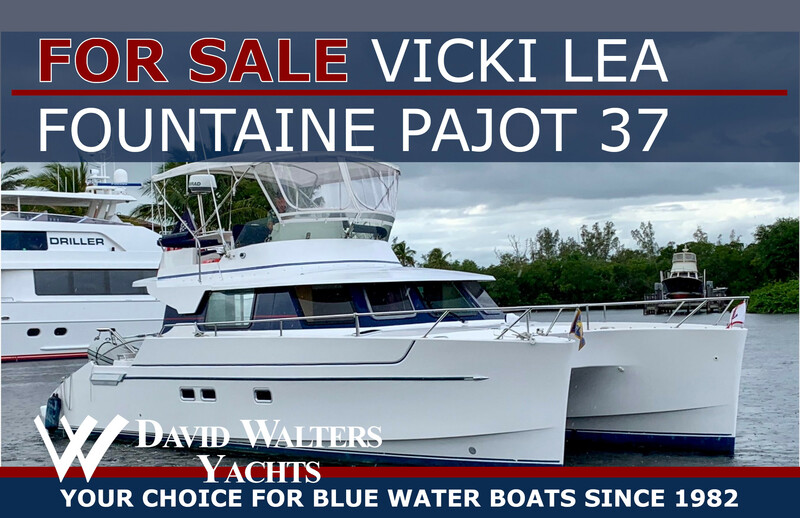 Features include upgraded twin Yanmar 240 HP engines, Northern Lights generator with low hours, updated Simrad electronics, and much more! VICKI LEA is located in Fort Lauderdale with an asking price of $199,000.